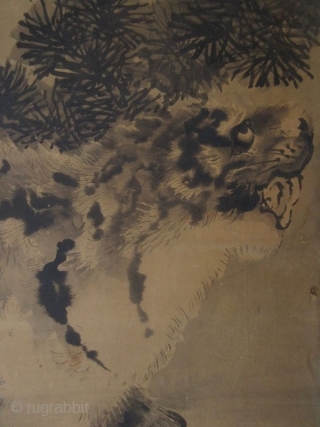 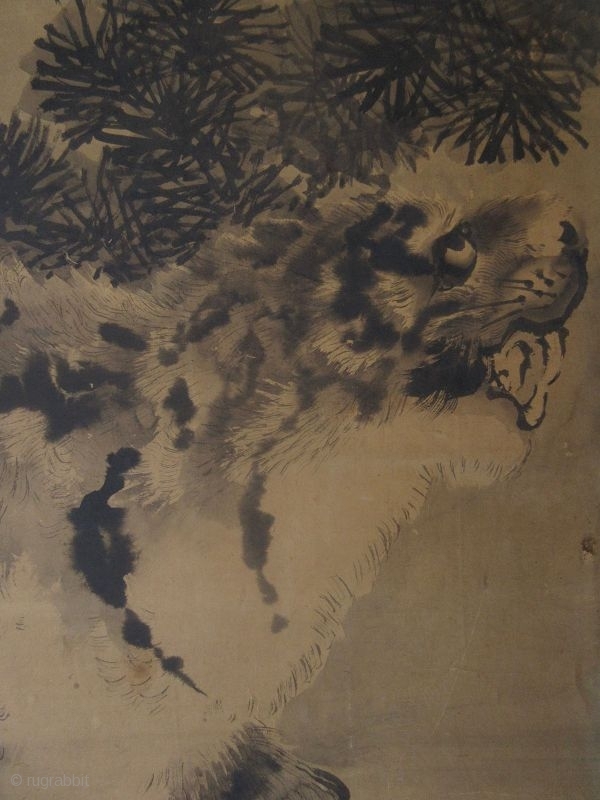 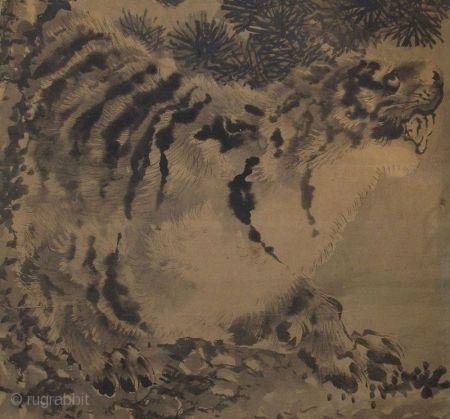 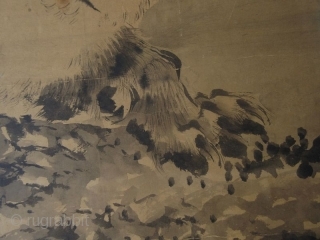 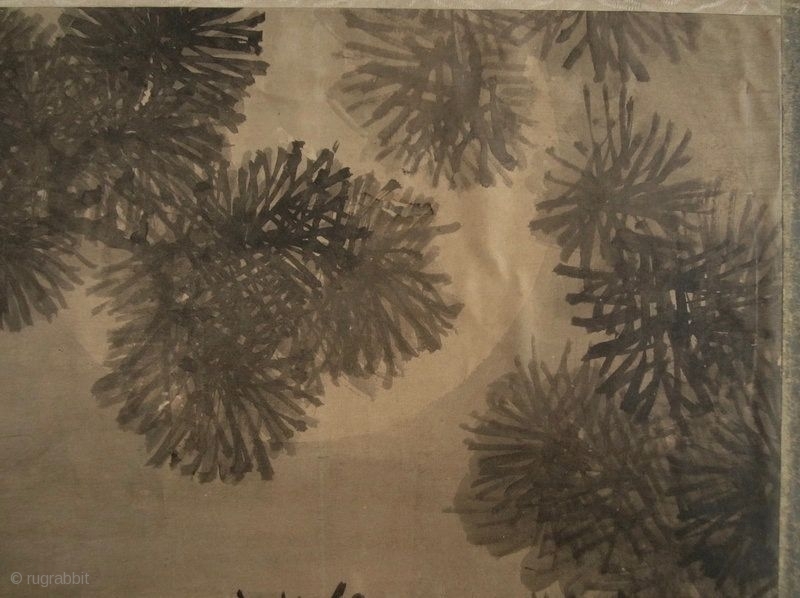 Antique Japanese painting of a tiger crouched on a rock, his eyes are turned toward the full moon which shows itself through the branches of a pine tree, beautiful detail especially to the tiger with his enormous paws, painted in sumi ink on paper, signed. 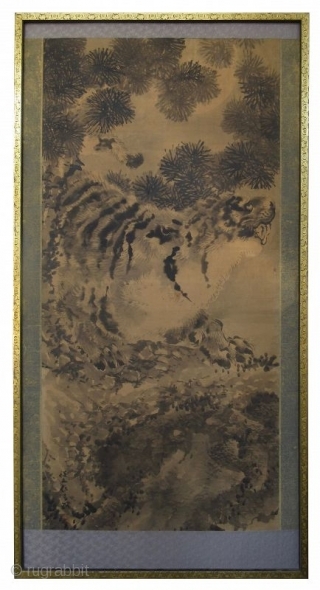 antique frame without glass. Size of painting only: 52" high x 23 1/2" wide.